22 carat three layered light gold chain adored with green beads and pearls by Prem raj shanthi lal jewellers. Polki choker and Satlada Haram! 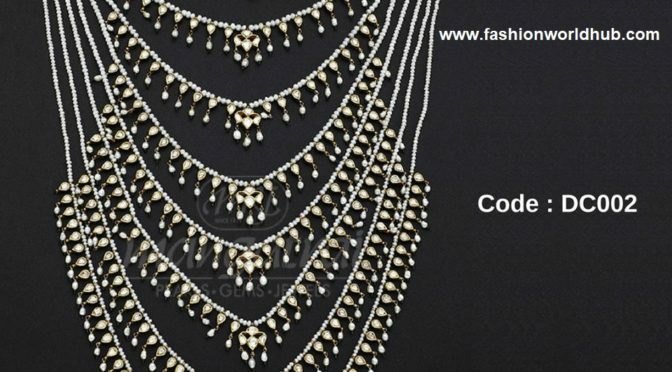 22 carat polki diamond choker adorned precious green beads . 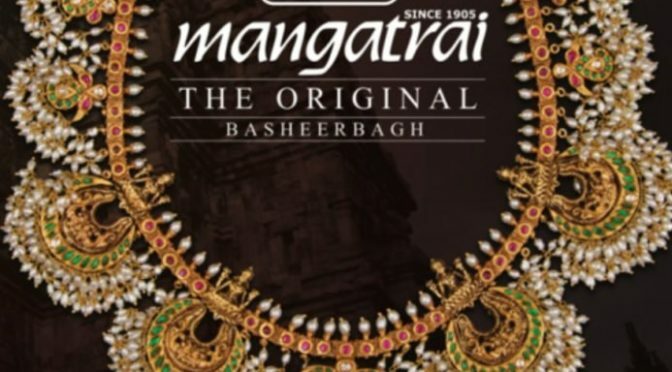 Satladar har adorned with pearls from Mangatrai jewellers. 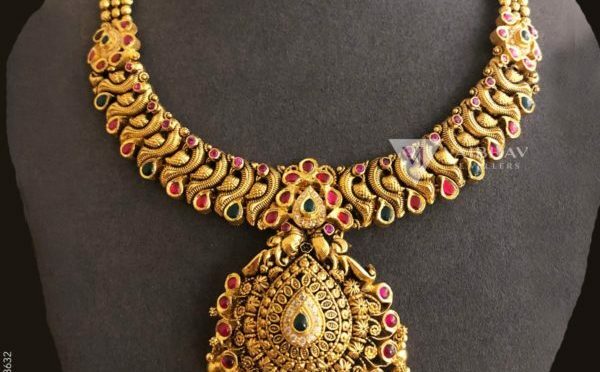 22 Carat antique gold lakshmi guttapusalu haram studded with with rubies , emeralds and pearls by Mangatrai jewelers. 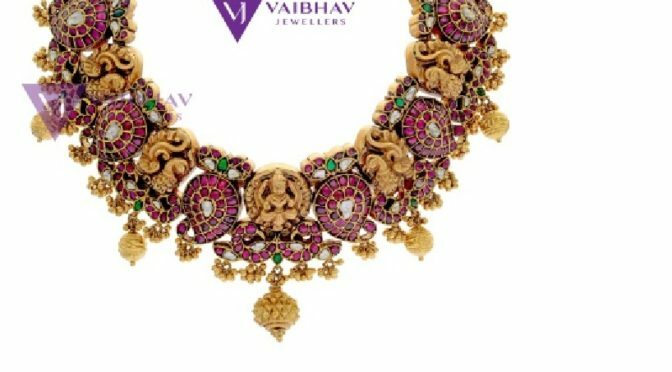 Gold & Diamond Antique jewellery designs by Vaibhav Jewellers!